St Stephen’s has stood majestically upon Robin Hood’s Bay since 1821. Echoing its ocean views, the church is engulfed in nautical history with graves bestowing tragic tales of forlorn seamen lost at sea. 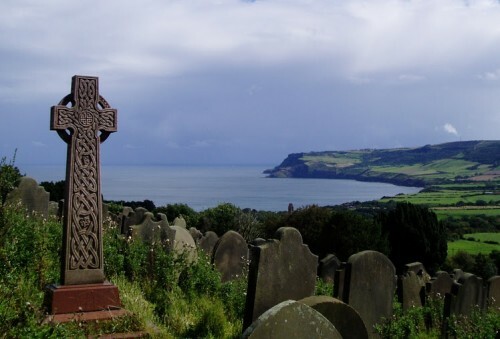 Walk from St Stephens’s church to Robin Hood’s Bay and see the stunning coastal views which are great for families wanting to combine culture and entertainment. This hidden gem sits in a quiet, idyllic valley west of Bridgnorth. With its stone walls and moss-covered roof this Norman church looks as much a part of the landscape as the trees that surround it. St Michael’s Church is located on an Elizabethan estate and is less than half a mile away from Upton Cressett Hall and Gardens, one of Britain’s most exquisite Tudor Houses. This walk is perfect for heritage enthusiasts and picnics. This picture postcard medieval church is nestled on the edge of the river Leach. Perfect for a leisurely walk along the banks of the meandering river to Horseshoe Lake, St Michael’s & St Martin’s is just a stone’s throw from its sister church at Eastleach Turville on the opposite bank. Perched on Grey Mare Hill, keen hikers and photographers alike will appreciate the ambitious 289m climb to reach St Andrew’s, Shotley, and its rewarding breath-taking views. All Saints’ Church, Nuneham Courtney is a jewel in the heart of the Nuneham Park House grounds. 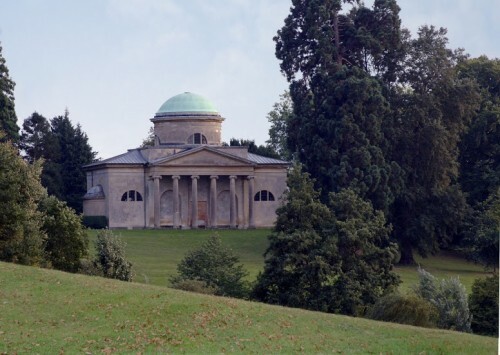 Overlooking the Thames, the 1760s church is a monument to wealth and taste, with dazzling Italian fittings, magnificent memorial sculptures and busts. Just a 30 minute walk away is Bluebell Wood, an enchanted forest filled with springtime flowers. 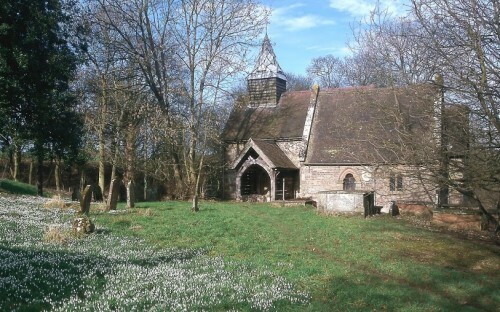 Dating back as far as the Saxon era, St Mary’s, Higham, is steeped in history from Norman influences to Benedictine nuns. The church is only four miles from the centre of Rochester for visitors wishing to combine country and town visits with a pleasant Kent walk across the marshlands. Continue the Norman theme and stop by the impressive fortress of Rochester Castle. This dazzling and colourful Victorian jewel of a church overwhelms the senses. A truly exhilarating building, tall and imposing, St Mary’s, Itchen Stoke was inspired by the soaring elegance of 13th-century Sainte Chapelle in Paris, chapel of French kings. Walk alongside the exquisite Alresford sluices to nearby Old Alresford Pond, a medieval oasis well worth investigating in this gorgeous Hampshire walk. If legend is to be believed, St Mary’s, Stocklinch Ottersey, and close by St Magdalene’s were built by two sisters vying for the affections of their local vicar. St Mary’s stands on an old water source, one of Somerset’s many healing wells, and is an hour’s stroll away from Barrington Court, a National Trust Tudor House with stunning grounds and a fascinating past making it a Somerset walk to remember. 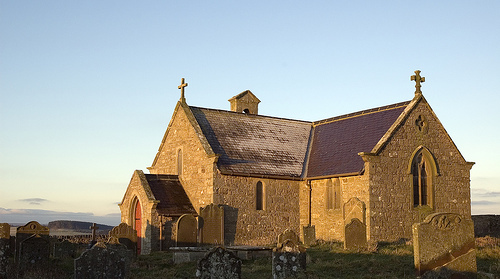 This prairie church is said to be all that remains of the Norman Gains Castle. Take in Mottisfont Estate, a glorious National Trust property and gallery set in beautiful riverside gardens, the village of King’s Sorbonne and stately Compton Park. Ideally located for a day out in Cambridge, this simple building is a haven of tranquillity from the busy streets around it. Walk the outskirts of the city and take in all that Cambridge has to offer from stunning views of the river to the historic university buildings. This entry was posted in Walking Outdoors, Walking Routes and tagged Top 10 Most Peaceful Walks In The UK. Bookmark the permalink.